The MFFC offers a chance for kids (under 16) to have fun at the Expo. 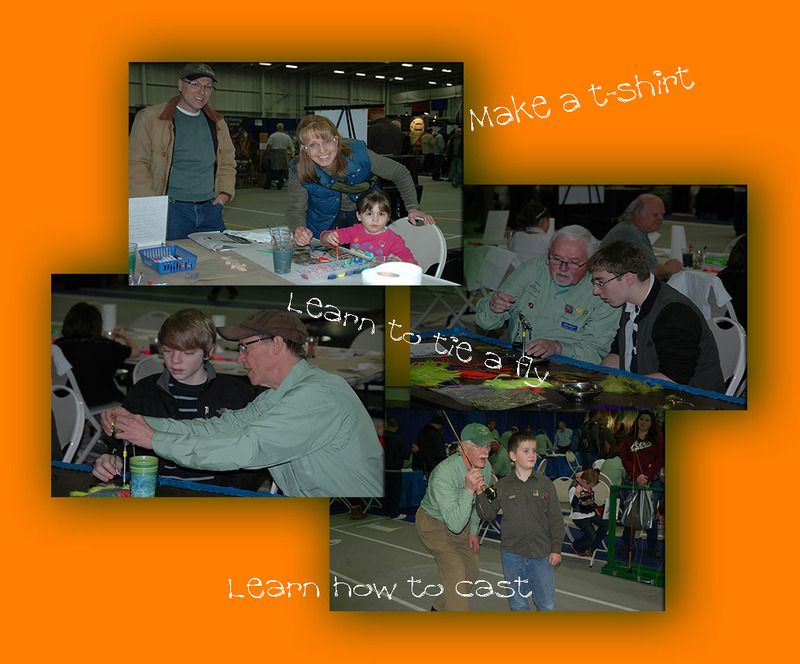 Each year MFFC members volunteer their time to assist kids in making a fish t-shirt, to learn how to cast a fly rod and to tie a fly that they can keep! In addition, on Saturday and Sunday, each Kids Korner participant has the opportunity to enter our drawing for a fly rod/reel/line. look for the “Kidz Korner” signs! Fly Tying – A big table heaped with fly tying stuff! Have your kids tie thier own flies. If they’ve never tied a fly, no problem our youth instructors will be on hand to help out. T-Shirt Painting – A “Project Fish” activity. What’s more fun than a blank white T-Shirt and a bunch of paint? “Kids Only” Casting Area – Kids have the run of the South end of the main casting pond. Parents, please remain with your kids while in this area.